Children and youth are among the most vulnerable groups affected by violence in armed conflict or massive abuses of repressive regimes. If breaches of basic human rights become the norm in a society, a child’s daily experience of education, family, and play can be torn apart, leaving them acutely vulnerable to physical harm, psychological trauma, displacement, recruitment by armed factions or other forms of exploitation. In the aftermath of societal upheaval, the voices of children and youth are often absent from peace negotiations and subsequent transitional processes. 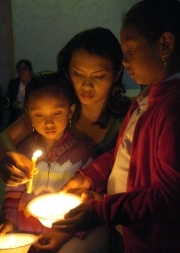 Though children and youth must be able to receive adequate care and necessary rehabilitation, they must not be regarded only as victims of massive human rights abuses: they are rights-bearing members of a society trying to confront the past, and active participants in the process of social change aiming for a new future. It is in the best interest of children and youth, as well as the societies in which they live, to participate in transitional justice processes, devised to reestablish rule of law and civic trust in the societies to which they belong. On International Children’s Day, ICTJ reaffirms the importance of an active role of children and youth in transitional justice processes, such as truth-seeking, criminal accountability, and reparations programs. Children are not only victims: they are rights-bearing members of a society trying to confront the past. The participation of young people in transitional justice is essential for sustainable and lasting societal transformation. And for children to be involved, they need to be properly informed. Creating outreach programs for transitional justice measures that are sensitive to children’s needs is crucial to ensuring that their voices are heard in such processes. Innovative and effective strategies outreach strategies tailored to children and youth improve the likelihood of their effective inclusion, as does the creation of spaces in which children and youth can participate in a safe and meaningful manner. These are the key findings of Engaging Children and Youth in Transitional Justice Processes, a new publication of ICTJ. The report, result of joint efforts between ICTJ’s Research Unit and the Children and Youth Program, is based on a comparative review of current and past efforts to reach out to children and youth as part of outreach programing for TJ measures. Drawing from the experiences of places as varied as Canada, Cambodia, Colombia, Kenya, Liberia, Peru, Nepal, Sierra Leone, and Tunisia, this report provides strategies to develop youth and child tailored outreach programs for transitional justice measures. The guidelines draw on examples from the Children and Youth Program’s technical assistance in various countries. Innovative and effective outreach strategies tailored to children and youth improve the likelihood of their effective inclusion, as does the creation of spaces in which children and youth can participate in a safe and meaningful manner. To mark International Children’s Day, here is a glimpse into ICTJ's work to involve young people in transitional justice in Canada, Nepal, and Tunisia. The Truth and Reconciliation Commission of Canada (TRC) was established in June 2008 with the mandate to investigate the truth about what happened in the government-sponsored, church-run Indian Residential Schools. For more than 100 years indigenous children were removed from their homes and communities, and placed in Residential Schools in which their cultural traditions and native languages were forbidden, and physical, emotional, and sexual abuse was commonplace. The TRC of Canada is charged with the collection of testimony and documentation surrounding the events which took place in the IRS system, and the personal, cultural, and societal consequences of these events. Due in part to the young age at which Residential School survivors suffered abuse, the violations which took place at Residential Schools often impact subsequent generations, such that the children and grandchildren of survivors may suffer abuses similar to those endured by their relations, regardless of whether they themselves attended a Residential School. The intergenerational consequences of the Indian Residential School system make the inclusion of youth in truth and reconciliation processes all the more important. Since 2010 ICTJ has worked closely with the TRC of Canada to devise a youth engagement strategy and conduct a number of targeted activities to promote youth participation in the TRC. 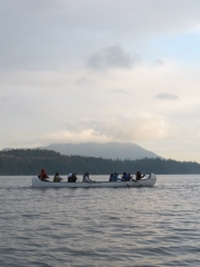 In the fall of 2010, ICTJ and the TRC held a Youth Retreat in Gibsons, B.C., after which two youth attendees created a documentary on their peers’ perceptions of the Indian Residential School legacy, which debuted at the TRC’s National Event in Inuvik in June, 2011. This film, entitled “Our Truth: The Youth Perspective on Residential Schools,” will be a mandatory part of the curriculum for high school students in the Northwest and Nunavut territories beginning in the academic year 2013-14. When asked how best to involve young people in the work of the TRC, “Our Truth” filmmaker Molly Tilden said, “I think young people need to tell other young people…I think that’s the most effective way.” As youth take ownership of Indian Residential School history, they assume the power to confront its legacy. Our Legacy Our Hope was screened during the United Nations Permanent Forum on Indigenous Issues. The armed conflict between government of Nepal and the then Communist party of Nepal (Maoists) came to an end after the signing of a Comprehensive Peace Agreement in 2006. 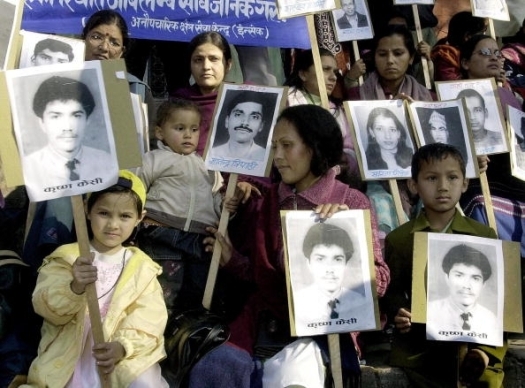 During the decade-long armed conflict more than 16,000 people lost their lives in Nepal. Thousands of people were disappeared, tortured and displaced. Children and youth were killed, abducted, recruited by armed forces and used by government forces as spies in few cases. Many children have been disabled permanently by improvised explosive devices in different parts of the country. The draft bill on a Truth and Reconciliation commission has not paid adequate attention to the victimization of children or their role in transitional justice measures. Conflict affected children are facing problems accessing relief provided by the government. The government of Nepal has provided scholarships for conflict affected children under the Citizen Relief Compensation and Monitory Assistance Program. However, lack of information about the program, lack of access in obtaining necessary documents, and other procedural difficulties have prevented these children from accessing this assistance. In an effort to address some of these challenges, in the spring of 2012 the Children and Youth Program and ICTJ’s Nepal office organized a series of trainings and radio programs on transitional justice for youth. Participants from the training shared their frustration with the government and other political parties. ‘They never took us and our issues seriously, they are only after power’, said one of the girl participants from the training held in Dhankuta. With the right information, youth can reclaim some of that power and advocate for how they want to the legacy of past abuses to be taken up in Nepal. In January 2011, a revolutionary movement triggered the collapse of almost 25 years of oppressive rule of President Zine el Abidine Ben Ali. In the popular protests that quickly spread all over the country, young people, disillusioned by high unemployment rates and government corruption, played a leading role. Since establishing a democratic form of government following the first elections in the fall of 2011, the new government of Tunisia embarked on a transitional process. It created a constitutional assembly in charge of drafting a new constitution and approving a comprehensive transitional justice law. Consultations with civil society to inform such law, however, haven´t specifically created spaces for children and youth to share their experiences and raise their concerns. Since early 2011, ICTJ has worked closely with officials and civil society in Tunisia to support the development of transitional justice approaches to deal with the legacy of the country's past. ICTJ’s Children and Youth Program has established connections with different stakeholders in the process, including the with Tunisian Ministry of Women, Children and Family Affairs, UNICEF, the Youth Observatory, transitional justice actors and children protection advocates, to discuss ways to ensure that children and youth are included in national transitional justice programming. In collaboration with the country offices of UNDP and UNICEF, ICTJ organized a roundtable discussion on Childhood and Youth in the Transitional Justice Process in Tunis in October 2012. The workshop gathered different actors from the child protection, transitional justice and youth advocacy fields to engage in the first discussion in the country about children and youth participation in transitional justice processes. Convened at a key moment before the approval of the transitional justice law, the event sought to raise awareness among policymakers about the need to specifically consider children and youth in transitional justice processes from the beginning. Now that the Ministry is finalizing the draft law for a truth commission, Tunisia is at a moment where it can create framework for meaningful participation. Including a mention of children and youth’s victimization and right to participation in the mandate of the truth commission is a crucial first step. Learn more about ICTJ's Children and Youth Program.